April, 2016 is National Sarcoidosis Awareness Month 2016. 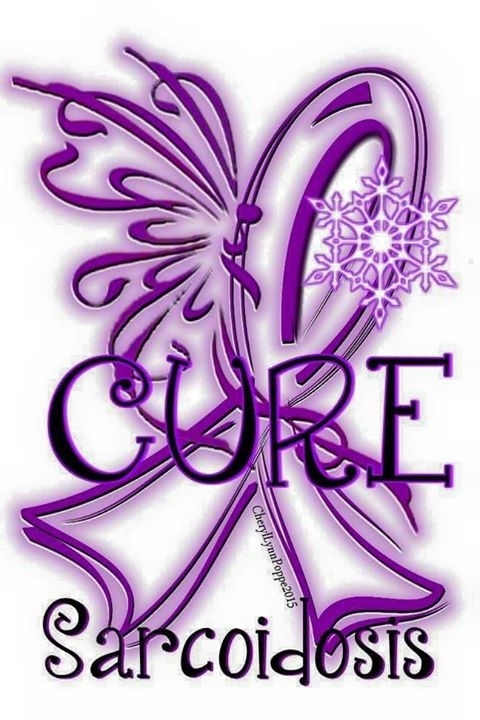 Sarcoidosis Information‎ Learn more about sarcoidosis symptoms, diagnosis and treatment. Sarcoidosis is a disease that results from a specific type of inflammation of tissues of the body. It can appear in almost any body organ, but it starts most often in the lungs or lymph nodes. The cause of sarcoidosis is unknown. The disease can appear suddenly and disappear. Or it can develop gradually and go on to produce symptoms that come and go, sometimes for a lifetime. As sarcoidosis progresses, microscopic lumps of a specific form of inflammation, called granulomas, appear in the affected tissues. In the majority of cases, these granulomas clear up, either with or without treatment. In the few cases where the granulomas do not heal and disappear, the tissues tend to remain inflamed and become scarred (fibrotic). Sarcoidosis was first identified over 100 years ago by two dermatologists working independently, Dr. Jonathan Hutchinson in England and Dr. Caesar Boeck in Norway. Sarcoidosis was originally called Hutchinson’s disease or Boeck’s disease. Dr. Boeck went on to fashion today’s name for the disease from the Greek words “sark” and “oid,” meaning flesh-like. The term describes the skin eruptions that are frequently caused by the illness. Shortness of breath (dyspnea) and a cough that won’t go away can be among the first symptoms of sarcoidosis. But sarcoidosis can also show up suddenly with the appearance of skin rashes. Red bumps (erythema nodosum) on the face, arms, or shins and inflammation of the eyes are also common symptoms. It is not unusual, however, for sarcoidosis symptoms to be more general. Weight loss, fatigue, night sweats, fever, or just an overall feeling of ill health can also be clues to the disease. Sarcoidosis was once considered a rare disease. We now know that it is a common chronic illness that appears all over the world. Indeed, it is the most common of the scarring lung disorders and occurs often enough in the United States for Congress to have declared a national Sarcoidosis Awareness Day in 1990. 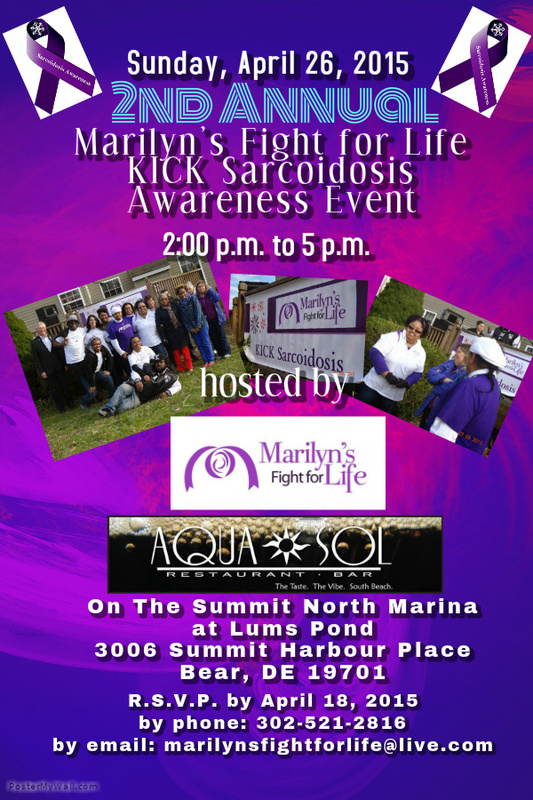 Anyone can get sarcoidosis. It occurs in all races and in both sexes. Nevertheless, the risk is greater if you are a young black adult, especially a black woman, or of Scandinavian, German, Irish, or Puerto Rican origin. No one knows why. Because sarcoidosis can escape diagnosis or be mistaken for several other diseases, we can only guess at how many people are affected. The best estimate today is that about five in 100,000 white people in the United States have sarcoidosis. Among black people, it occurs more frequently, in probably 40 out of 100,000 people. Overall, there appear to be 20 cases per 100,000 in cities on the East Coast and somewhat fewer in rural locations. Some scientists, however, believe that these figures greatly underestimated the percentage of the U.S. population with sarcoidosis. Sarcoidosis mainly affects people between 20 to 40 years of age. White women are just as likely as white men to get sarcoidosis, but the black female gets sarcoidosis two times as often as the black male. No one knows what causes sarcoidosis. Sarcoidosis also appears to be more common and more severe in certain geographic areas. It has long been recognized as a common disease in Scandinavian countries, where it is estimated to affect 64 out of 100,000 people. But it was not until the mid ’40s, when a large number of cases were identified during mass chest x-ray screening for the Armed Forces, that its high prevalence was recognized in North America. Much about sarcoidosis remains unknown. Nevertheless, if you have the disease, you can be reassured about several things. Sarcoidosis is usually not crippling. It often goes away by itself, with most cases healing in 24 to 36 months. Even when sarcoidosis lasts longer, most patients can go about their lives as usual. Sarcoidosis is not a cancer. It is not contagious, and your friends and family will not catch it from you. Although it can occur in families, there is no evidence that sarcoidosis is passed from parents to children. Sarcoidosis is currently thought to be associated with an abnormal immune response. It is not known whether the trigger that initiates the immune disturbance is a foreign substance, chemical, drug, virus, or some other substance. In general, sarcoidosis appears briefly and heals naturally in 60%-70% of the cases, often without the patient knowing or doing anything about it. From 20%-30% of sarcoidosis patients are left with some permanent lung damage. In 10%-15% of the patients, sarcoidosis can become chronic. When either the granulomas or fibrosis seriously affect the function of a vital organ—the lungs, heart, nervous system, liver, or kidneys, for example—sarcoidosis can be fatal. This occurs 5%-10% of the time. Some people are more at risk than others; no one knows why. No one can predict how sarcoidosis will progress in an individual patient. The patient’s symptoms, race, and the doctor’s findings can give some clues. For example, a sudden onset of general symptoms such as weight loss of feeling poorly are usually taken to mean that the course of sarcoidosis will be relatively short and mild. Dyspnea and possibly skin sarcoidosis often indicate that the sarcoidosis will be more chronic and severe. White patients are more likely to develop the milder form of the disease. Black people tend to develop the more chronic and severe form. Sarcoidosis rarely develops before the age of 10 or after the age of 60. However, the illness—with or without symptoms—has been reported in younger as well as in older people. When symptoms do appear in these age groups, the symptoms are those that are more general in nature, for example, tiredness, sluggishness, coughing, and a general feeling of ill health. Preliminary diagnosis of sarcoidosis is based on the patient’s medical history, routine tests, a physical examination, and a chest x- ray. The doctor confirms the diagnosis of sarcoidosis by eliminating other diseases with similar features. These include such granulomatous diseases as berylliosis (a disease resulting from exposure to beryllium metal), tuberculosis, farmer’s lung disease (hypersensitivity pneumonitis), fungal infections, rheumatoid arthritis, rheumatic fever, and cancer of the lymph nodes (lymphoma). What are some signs and symptoms that suggest possible sarcoidosis? In addition to the lungs and lymph nodes, the body organs more likely than others to be affected by sarcoidosis are the liver, skin, heart, nervous system, and kidneys, in that order of frequency. Patients can have symptoms related to the specific organ affected, they can have only general symptoms, or they can be without any symptoms whatsoever. Symptoms also can vary according to how long the illness has been under way, where the granulomas are forming, how much tissue has become affected, and whether the granulomatous process is still active. Even when there are no symptoms, a doctor can sometimes detect signs of sarcoidosis during a routine examination, usually a chest x- ray, or when checking out another complaint. The patient’s age and race or ethnic group can raise an additional red flag that a sign or symptom of illness could be related to sarcoidosis. Enlargement of the salivary or tear glands and cysts in bone tissue are also among sarcoidosis signals. The lungs are usually the first site involved in sarcoidosis. Indeed, about nine out of 10 sarcoidosis patients have some type of lung problem, with nearly one-third of these patients showing some respiratory symptoms—usually coughing, either dry or with phlegm, and dyspnea. Occasionally, patients have chest pain and a feeling of tightness in the chest. It is thought that sarcoidosis of the lungs begins with inflammation of the alveoli (alveolitis), the tiny sac-like air spaces in the lungs where carbon dioxide and oxygen are exchanged. Alveolitis either clears up spontaneously or leads to granuloma formation. Eventually fibrosis can form, causing the lung to stiffen and making breathing even more difficult. Eye disease occurs in about 20%-30% of patients with sarcoidosis, particularly in children who get the disease. Almost any part of the eye can be affected—the membranes of the eyelids, cornea, outer coat of the eyeball (sclera), retina, and lens. The eye involvement can start with no symptoms at all or with reddening or watery eyes. In a few cases, cataracts, glaucoma, and blindness can result. The skin is affected in about 20% of sarcoidosis patients. Skin sarcoidosis is usually marked by small, raised patches on the face. Occasionally, the patches are purplish in color and larger. Patches can also appear on limbs, face, and buttocks. Other symptoms include erythema nodosum, mostly on the legs and often accompanied by arthritis in the ankles, elbows, wrists, and hands. Erythema nodosum usually goes away, but other skin problems can persist. Occasionally (1%-5%), sarcoidosis can lead to nervous system problems. For example, sarcoid granulomas can appear in the brain, spinal cord, and facial and optic nerves. Facial paralysis and other symptoms of nerve damage call for prompt treatment with medications such as high doses of cortisone (see below). Also, people with sarcoidosis can have depression that is unrelated to the activity of the disease and is felt to be, in part, because of a misdirected immune system. Symptoms can appear suddenly and then disappear. Sometimes, however, they can continue over a lifetime. Because sarcoidosis can disappear even without therapy, even doctors sometimes disagree on when to start the treatment, what dose to prescribe, and how long to continue the medicine. The doctor’s decision depends on the organ system involved and how far the inflammation has progressed. If the disease appears to be severe, especially in the lungs, eyes, heart, nervous system, spleen, or kidneys, the doctor may prescribe corticosteroid. please help? In my FNAC Report (biopsy) of gland in neck, there TB and Sorcoidesis and ? vijay, You need to find a physician who specializes in lung diseases – a pulmonologist. You may find one in a nearby medical center or by asking your local medical society office. The cause of sarcoidosis is unknown. Because the lungs and thoracic lymph nodes (the lymph nodes located in the chest) are the most frequently involved organs, some physicians and researchers suspect that sarcoidosis may be caused by something that enters the body through the lungs, that is, something that is inhaled such as a virus or bacteria, or an unidentified environmental toxin. In particular, there is some evidence that sarcoidosis may be associated with Mycobacterium tuberculosis, the bacterium that causes tuberculosis. Sometimes sarcoidosis and tuberculosis occur simultaneously, suggesting they may have the same cause. Also, scientists have found M. tuberculosis DNA in infected sarcoidosis tissue, suggesting the bacteria is present and may be causing the disease. On the other hand, it may be that a patient with sarcoidosis has a suppressed immune system, making them more susceptible to tuberculosis. Or, a patient with TB may be more susceptible to sarcoidosis. One may not have anything to do with the other except that if you have one, your body is defenseless against the other. Sarcoidosis also resembles berryliosis, a disease caused by inhalation of the metal berrylium. There is some evidence of geographical clustering, meaning the disease tends to occur with greater frequency in certain geographical areas. This suggests an environmental cause (i.e., if everyone in the area is breathing the same environmental toxin, and if sarcoidosis is caused by that toxin, people living in the area where the toxicity is high are more likely to develop the disease) or transmissible agent (i.e., if one person in the area has sarcoidosis, and it is infectious, other people in the area are likely to get infected). No matter whether the trigger is a chemical toxin or bacteria, sarcoidosis involves a malfunctioning immune system. It is not really clear what the problem is and how it begins. It may even have a partial genetic basis. Familial sarcoidosis occasionally occurs, suggesting that there may be an inherited genetic component. The frequency of sarcoidosis (the percentage of a population infected at a given time) is largely unknown because many cases are asymptomatic and never reported. Often, sarcoidosis is discovered by a chest x-ray done for other purposes. Or, it is not seen until after death, during an autopsy. According the the NIH’s National Heart, Lung, and Blood Institute, the occurrence of sarcoidosis was considered rare in the United States until fairly recently. It was detected in large numbers during a mass chest x-ray screening of U.S. military personnel in the 1940s. In 1990, Congress declared a Sarcoidosis Awareness Day to increase awareness of the disease. Although usually considered fairly mild, it can be a very serious, life-threatening condition, especially in certain racial and ethnic groups. For example, in the United States, young African-American men suffer the most severe form of sarcoidosis and have the highest mortality rate. Unlike most lung diseases, sarcoidosis actually occurs more frequently in nonsmokers than smokers. It is not clear why. This is a great site and also it provides templates for Sarcoidosis pamphlets that we can use at our awareness events this month. Also, here is a reminder for my upcoming event. Remember to R.S.V.P. 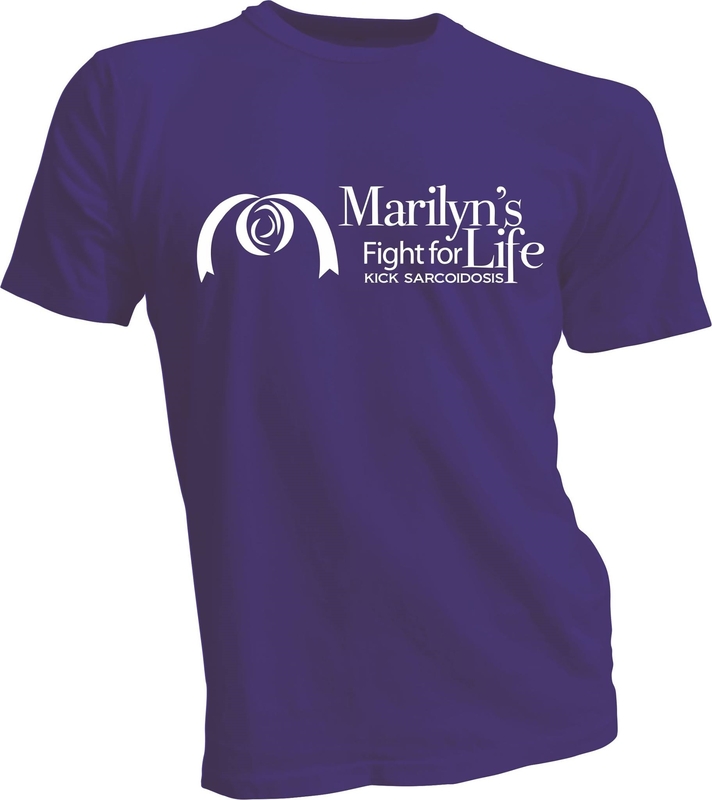 to marilynsfightforlife@live.com. Also, T-shirts will be available to purchase on that day. Have spent far too much time shuffling through hospital bills I may never get paid off and praying for sick friends and family members, some undergoing chemo, some in poor health and some currently in the hospital, and others who have recently gone home to the Lord or are on their way. Just a little over a week ago, I got to that door with a double whammy of viruses that nearly changed my address to the other side. Those of you who know me know that I battle sarcoidosis, an autoimmune disease that has not only been classified as terminal, it has not responded successfully to traditional treatments, and has given me a hyper-immune system that will just as readily destroy my own cells and organs as an infectious agent in my body. When a bacterial infection weasels its way in, damage is done by inflammation, my doctors bombard me regularly with pharmaceuticals to try to suppress my Immune system, and then they put me on extreme antibiotics and steroids to both attempt to overcome the infection and control inflammation from my immune system. It’s a crap shoot and illnesses are extreme, long-lasting and frequent. Worse yet are viruses. The little monsters cannot be combatted with antibiotics, so it is a life or death battle with the virus and my suppressed immune system, which promptly goes to work destroying everything it comes in contact with. Its russian roulette of the micro-biologic kind, and is the primary cause of mortality when sarcoidosis finally destroys too many organ systems in its fight or the viruses win as the immune system fights too many battles on too many fronts and is overcome by disease. I was nearly overcome by gastroenteritis and viral pneumonia that kept me dehydrated, unable to hold down anything, too weak to stand, febrile with 104 temperature for 8 days that burned my skin like a sunburn, oxygen deprived, fainting, incoherent, and in excruciating pain as my desperate immune system went Hiroshima with inflammation in an attempt of self-preservation. In the few moments of clarity I had, I contemplated the nature of disease and accepted the fact that this could kill me. There was helplessness and grief for my family, and then the fire and fever and the sea of nothing would wash over me again and I would slip under, unsure of whether I would resurface or not. The hospital gave me no hope or refuge, knowing that my only option was to wait and that my only weapon was time. I did pull out, damage done, this time. I come through with the knowledge that it is only by the grace of god and the tools He has given me that I have another day with my family. There is no cure for sarcoidosis, only treatments that do as much harm as good. I find peace in my faith and the promise that when I go, this disease will no longer plague me. But as I watch the people I love struggle with illness, disease and death that THEY DON’T HAVE TO BEAR, it strengthens my resolve to share with them firstly my faith in the TRUE physician…and the tools that He has given us to PREVENT sickness and suffering. I know that I know that if I had not begun eating better and supplementing where my diet fails with Juice Plus, my body could not have pulled through last week. My doctor confirmed that my blood work had never looked as good as it did when I visited a month ago. My body chemistry has changed for the better, so much so that she thought I was getting vitamin and mineral injections with my specialists. Had those weapons not been in place to help support my faulty immune response, system failures would have followed. Before Juice Plus, the last viral assault sent me Into atrial fibrillation and I spent 2 weeks on an ICU crash room waiting for heart failure, a heart attack, a stroke or respiratory arrest from a pulmonary embolism. If you think I push Juice Plus on every person I know and care about, you are damn Skippy. If you think you can’t afford that 2 to 3.50 a day, add up what you spent on coffee or monsters to get going, over the counter or prescription meds you take to KEEP going, or the junk food from whatever fast food joint or gas station counter you just could not pass up today. Better yet, have a look at my hospital bills or those of the people you and I know who have cancer, diabetes, heart disease, high blood pressure or any of the other first world ailments we Don’t have to develop that our busy, fast food lifestyle so stealthily gifts us with.